Opening doors for you since 1965. Automatic Door Service, Inc. was founded in 1965 by Philip G. Nymeyer. Philip Nymeyer was a pioneer in the automatic door industry. He began his career with the JED Products Company. 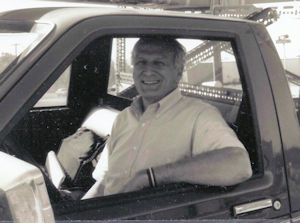 After leaving JED Products and establishing Automatic Door Service, Inc., he became a factory authorized distributor of Norton Door Control Products, who later became Keane Monroe Corporation (KM Systems, Inc.). They are now RECORD-USA. Philip Nymeyer started his own automatic door service business in Grand Rapids, Michigan to provide better quality products and more personalized service for his customers. In 1973, he opened an office in Niles, Michigan to increase accessibility to customers in southern Michigan and northern Indiana. In 1987, Philip partnered with Nathan Nymeyer to increase the sales and engineering capacity of the company in architectural, contract and client support. This allowed Automatic Door Service to further expand and increase their sales. In 2008, personnel were added in northern Michigan to provide more timely support to our clients in the northern Michigan area. Philip and Nathan have been privileged to serve and meet the needs of many faithful customers throughout the years. Our commitment to our customers in providing quality solutions through design, planning and service has afforded us a solid reputation throughout the area.